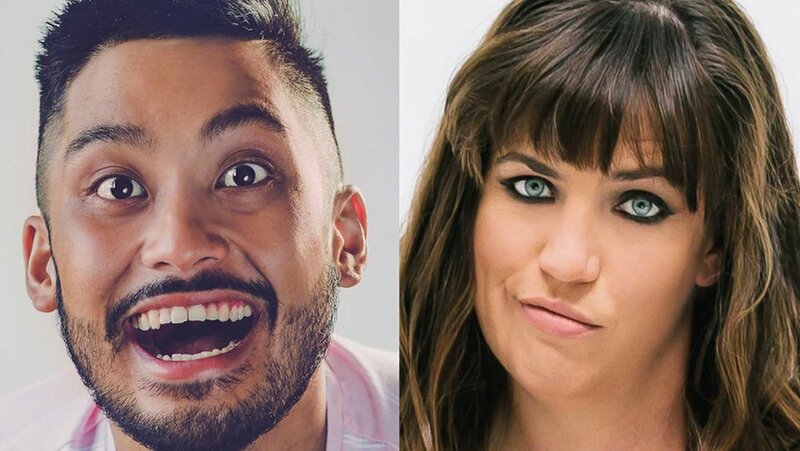 David and Donna, two of New Zealand’s most exciting comedy talents, team up for this split-bill show to showcase the latest weird and bloody wonderful nonsense they have created. Think of this as comedy for people who are bored of comedy. Less observational, more mess, and so much funny. Both David Correos (2016 Billy T Winner) and Donna Brookbanks (2018 & 2019 Billy T Nominee), have been pushing the boundaries and make a perfect pairing for a perfect fringe night out. With each performing 30min of their freshest gear, you can expect this to be one of those shows you get to say “I saw them back when…” to all your mates. Cerebral in a way that makes you think, “How the hell did they think of that”, with just the right amount of silly and fun to make it brilliant. With a nod to clowning, a tip of the hat to stand up, and a wink to absurdity, the combination is a winning one.